You were the boss of a plastic injection molding facility. You wanted to improve productivity and you had experienced people to do it; what projects would you choose and in what order? 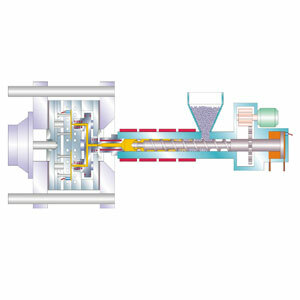 For example: Shorter setup times, scrap reduction, injection mold preventative maintenance, optimum run size etc. I always believe in the trickle down theory: Big first then little things last. 1. Optimum run size first. If the plastic injection molding machines are running constantly without interruption and the team knows what to do, each minute gets less expensive until you reach the point of diminishing returns. 2. 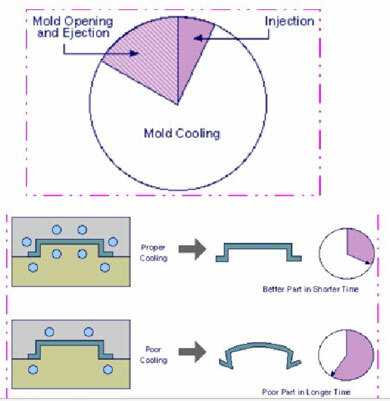 Optimization of molding activities. I try and maximize this by making sure the plastic injection molding personnel have the proper training, especially regarding the "molding dance" as I call it. I have found that economy of motion in loading and unloading molds, if it is not an automated process, is a big time and labor waster. We do a lot of insert molding and the manner and order in which the part is loaded into the mold cavity can make or break the part per hour production. 3. Monitoring of production rates. If your production is modulated by lots of employees and their rates, you have to monitor them. When we started paying incentive bonuses for increased rates beyond the minimum amount we felt we had to have to show a minimum return, the numbers went through the roof. When employees can get rewarded for their hard work in dollars, they will work much harder. 4. Scrap Reduction. This hopefully is somewhat factored in before the first part is ever made, but it also needs to be closely monitored because scrap is a function of production rate and labor expenditure. The cost of this is a product of the material loss also. A dollar that grows quickly if not monitored and controlled asap. 5. Mold preventative maintenance. If the injection molds break down, there is not molding to do. This is a very important issue, but hopeful will be scheduled during down time and when it is not in use. Should be low impact. 6. Shorter Setup times. 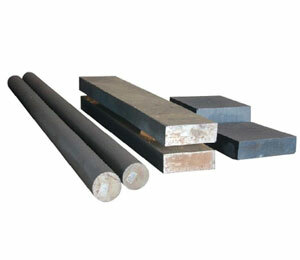 We usually have an extra mold machine that is available to setup while other jobs are running. Lots of factors go into whether this investment should be made, but sometimes an extra mold machine will pay for itself very quickly by allowing other jobs to continue while setup is being done for the next job. If this is not possible, and if setup times are very long then this step goes up higher on the priority list, just some food for thought. 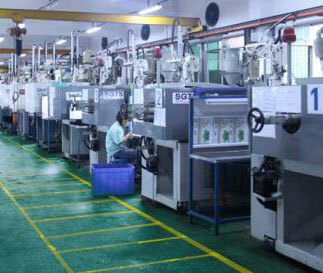 Welcome to ACO Mold injection moulding company and contact us. The mould engineers from ACO Mold will give you the best solution, and recommend the suitable materials for you. We are ready and looking forward to cooperate with your next project. You will be happy and satisfied to be our partner in mould making and injection moluding project. We are having 30 Nos of Plastic Injection Moulding Machines in our shop floor from 40 T to 250 T. The most common problem we are facing is mixing of short filled parts with OK parts due to setup parts, power breakdown, machine down etc. Is there any FOOL PROOFING system available to attach with our machines to avoid mixing of initial 5 shots with ok material whenever machine is started or re-started. Do let me know.